Every homeowner knows that avoiding regular maintenance and upkeep can result in costly repairs. Here are five "sleeping giants" that left undetected—could break the bank. A home is like a relationship—it requires a little bit of money and attention to keep it going strong. Neglect some easy, quick home repairs, however, and you may end up shelling out tens of thousands of dollars in expensive fixes. How can you discover these sleeping giants before they wake? Read on. When the Giant Wakes: “There’s one thing that a homeowner could do that could save them thousands and thousands of dollars: prevent water damage,” says David Niskanen, owner of NW Property Preservation, a Seattle-area company that offers everything from basic handyman services through whole-house remodels. “Water kills houses,” says Niskanen. Take Action Now: Homeowners should examine their bathroom with fresh eyes. “They should look for gaps in the caulking, either around the shower or the tub, including around the spouts in the tub, and also look for any missing grout,” says Niskanen. “They should also look for mold.” Mold isn’t the underlying problem, but the symptom of larger issues, cautions Niskanen; it indicates moisture coming from behind the caulking, likely thanks to a leak higher up in the bathroom. 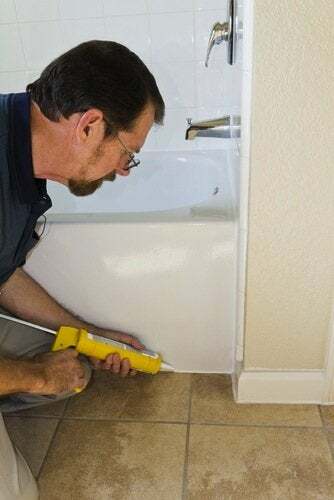 Replace any frayed, gapped, or absent caulking, or missing grout. A few bucks on grout and waterproof caulk—and a few hours of work—will save you untold dollars and aggravation later. When the Giant Wakes: “What happens is that an unvented crawlspace or an unvented attic traps heat or moisture in those spaces,” says Mike Kuhn, the New Jersey owner of a HouseMaster inspection service and coauthor of The Pocket Idiot’s Guide to Home Inspections. “Eventually the plywood is going to delaminate; that’s what the roof sits on. It’s also going to lead to excessive moisture” in those spaces, which creates mold, says Kuhn. He recently inspected a home that contained two separate attics—one side had a fan and was fine, the other had no fan and was coated in toxic black mold. “They probably have to tear off all of the roof” to get at the plywood, he says. “That’s not an unlikely scenario.” If a crawlspace isn’t vented and moisture festers there, “it could lead to framing decay,” he says. Take Action Now: Step one is to see what you can see on your own. Go into the attic and look (and smell) for trouble. Does it smell musty? Do you see mold or water? Do your eaves have soffit vents to help your attic “breathe”? Does your attic have a mechanical vent? If so, make sure the vent is working. If you’re unsure what you’re seeing, consider calling in a home inspector or a roofer to take a look—“somebody unbiased who’s not going to sell you something,” says Kuhn. Next, check your crawlspaces—and remember, many people forget they have them, especially in cases where renovations or additions have obscured them. 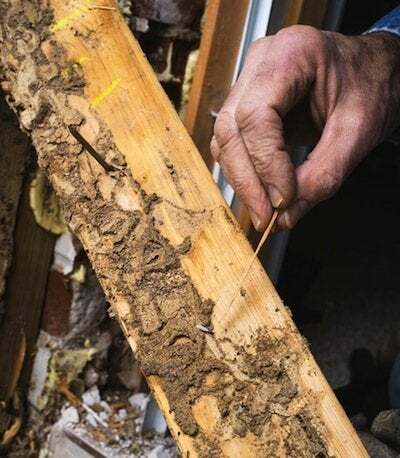 If termites go unnoticed for a long time, “The structural damage and repairs themselves could be $15,000” or more, says Kuhn; one current repair project Kuhn knows of will cost the homeowner $20,000, not including the inconvenience of moving out while floor joists are replaced. Take Action Now: Don’t think you’re immune from termites. The insects live in nearly every state. Do an annual termite patrol around your house, paying particular attention to unfinished basement areas and darker nooks and crannies. (Underground termites need moisture to survive.) You’re looking for the termites’ tell-tale, pencil-thin mud tubes. If you see one, break it off to see if it is rebuilt. Also look for termite damage to beams, and possibly swarming. If you find some wood that might be infested, probe it with a knife blade or screwdriver to see if termites have hollowed it out; it might sound hollow if you tap on it. 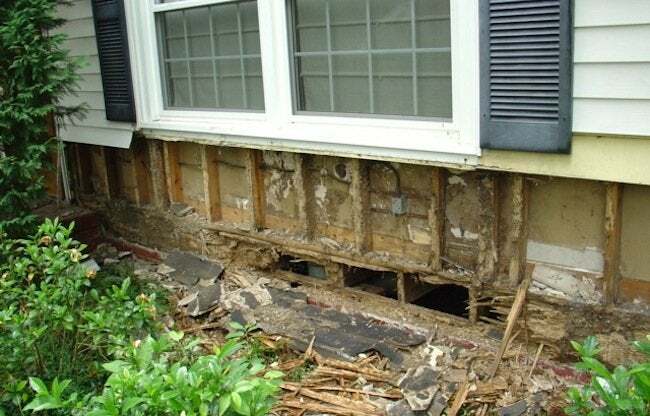 If termites are found, “The cost of a treatment might be $500 to $1,500 for an average home,” he estimates. That’s a pittance compared with the damage if you let it go any further. When the Giant Wakes: An estimated one in five of all U.S. housing units are on septic systems rather than hooked up to a municipal sewer system, according to the EPA. “With proper usage, [the life of a septic system] can be extended…. They can go for quite a while,” says home inspector Kuhn. But “septic systems don’t have an infinite life span,” especially if they’re mistreated. Think of a septic system as a machine, and if you don’t maintain this machine, it can essentially clog and stop working. “Generally, once a septic field is done, it can’t be repaired,” says Kuhn. “It has to be replaced.” Rules vary by state, but in New Jersey, where Kuhn lives, if you have an older system that fails, it has to be brought up to today’s standards, “and a new system can cost you anywhere from $25,000 to $45,000,” he says. Take Action Now: Septic systems are pretty simple: Human waste goes from the toilet into an underground septic tank. The solids settle at the bottom. At the other side of the tank is an outlet baffle where the (lighter) liquids leave the tank and are dispersed into a leach field that usually consists of gravel and soil. To keep this machine running smoothly, be sure to have your septic tank professionally emptied of solids every two to three years, depending on the occupancy of your house, says Kuhn, at a cost of roughly $200 to $300. (Check your system’s requirements.) If your tank isn’t emptied regularly, the solids and foreign items may work their way into the leach field, clogging it so it loses the ability to absorb liquids. To further reduce the chance of clogging, don’t put anything down the toilet except toilet paper (for example, no baby wipes or feminine products). When the Giant Wakes: Water that pools around the outside of your house looks harmless enough, but that water can cause major trouble, says contractor Niskanen. That water can leak into a basement, causing major mold and rot issues. It can even saturate the soil and cause the entire home’s foundation to shift, experts say. Now you’re talking tens of thousands of dollars in repairs. Take Action Now: The next time it’s really pouring, head outside (with an umbrella!) 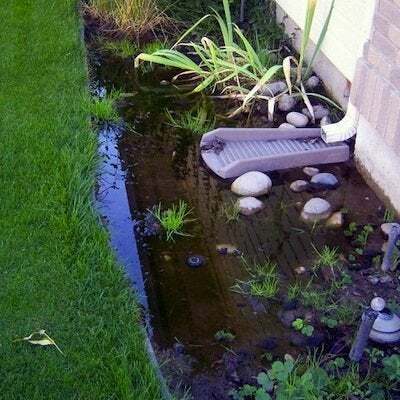 and stroll slowly around your home’s exterior, looking for areas of ponding—a danger sign. If you’ve got landscaping, make sure you haven’t simply piled up mulch and dirt around the house and created a big dam that keeps water next to the house. Pull that material away from the house. It’s doubly smart to get dirt and mulch away from the house and its siding because water will wick up the siding, and insects like termites can often use the dirt as a highway to enter the house, says Niskanen. If you’ve got downspouts and gutters, make sure everything is connected and that they carry the water at least 10 feet away from the house. If needed, buy extenders. Finally, make sure that your yard slopes away from your house so that gravity naturally carries water away from the foundation, says Niskanen. If that isn’t happening, you may need to bring in some dirt and grade your lawn so that water is pulled away. Aim for a minimum of six inches of slope for every 10 horizontal feet.